Stanton is probably one of the prettiest and idyllic villages in the whole of the Cotswolds. Little changed in 300 years it nestles beneath the slopes of Shenbarrow Hill. 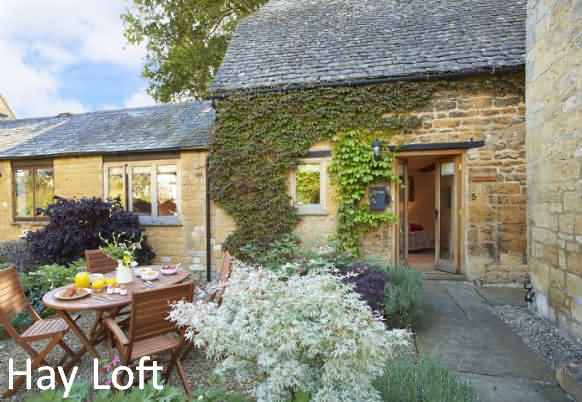 It has a very pleasing long main street with several delightful corners where the ancient house are built in typical Cotswolds style with steeply pitched gables, mullioned windows and glowing honey coloured limestone walls. All rooms en suite. One double room with bath, one family room with shower/bath, one twin room with shower. Tea and coffee making facilities in all rooms. Evening meals and pack lunches available on request. Guest lounge/TV room, guest dinning room. Free off road parking in large farm courtyard. Large gardens. Porterage available. A warm welcome awaits you from Maggie and Mick. Choose from three different bedrooms to stay in, depending on your requirements. The Green room boasts two single beds, with ensuite shower facilities. The Yellow room can accomodate families thanks to the large double and single beds, with ensuite showering and bathing facilities. Finally the Blue room contains a large double bed, with ensuite bathroom with bath. For more information on these rooms, click on the links below. Located only 10 minutes away from the beautiful village of Broadway with all its amenities. 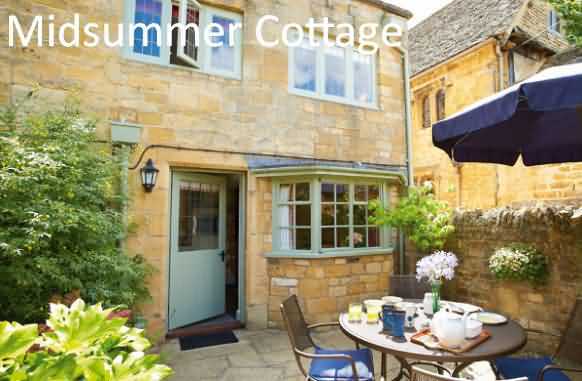 Midsummer Cottage is a delightful 17th century Grade II listed Cotswold stone cottage with a very pretty garden. It is beautifully furnished and renovated to a very high standard. The sitting room has original exposed beams and a wood burning stove set in a traditional stone fireplace. Stanton is one of the prettiest, most peaceful villages lying within this Area of Outstanding Natural Beauty and the cottage is right at the heart of it. 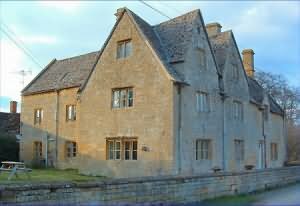 Little has changed in over 300 years and the houses are built in typical Cotswold style. The village inn, The Mount, stands at the top end of the village with spectacular views across the Vale of Evesham towards the Malvern Hills and serving good food and local ale. You will also discover a small garden nursery as well as the parish church of St. Michael dating back to the 15th century. Pretty landscaped garden with garden furniture. Sorry, no babies or children. A small stream-like pond with step down to lower level. Please be aware of open sided staircase with rope bannister to 1st floor and step down into the kitchen. There is also a step down to the lower terrace in the garden and one step up to the log house.